HK G3 leather sling. Used surplus in fair to good condition. These are in great working order and will survive many years of use on your firearm. That said they show lots of wear from military use. They are not show-room new like our new HK leather slings. 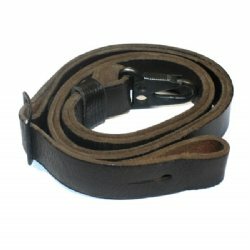 High quality German Leather! 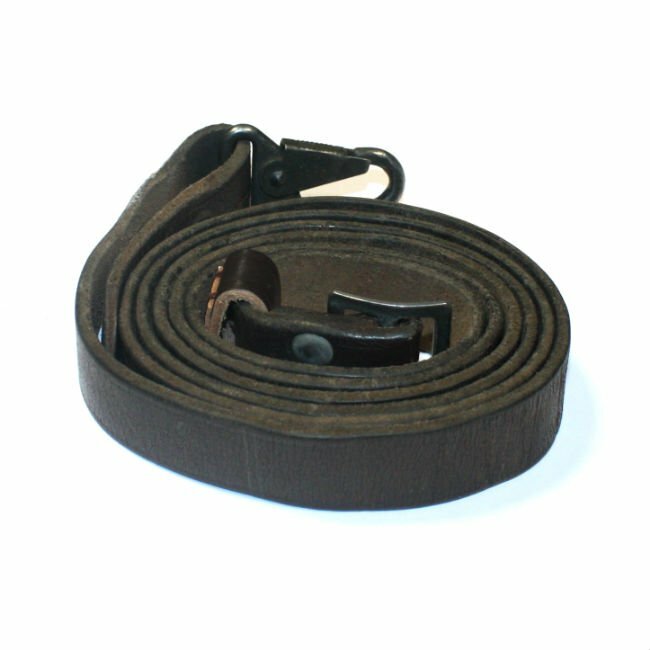 This sling is complete with leather keeper, metal stud and steel claw latch. Perfect sling for all HK91, G3, PTR91, HK93, HK33 or Cetme rifles using an HK buttstock. These also work great for other rifles like the FAL, Valmet, Galil, Sig556 Etc. "HK G3 Good Fair sling"
Product Review: The one I received was in unused shape, perfect leather. I was expecting, for the low price, some old worn out sling, but this one has maybe one wear mark but other than that absolute perfection. Put some Ballistol on it and she's beautiful. Thanks RTG! Product Review: I love RTG parts, but the leather on this sling was full of cracks. My K31 sling from the 40's looks nicer. I guess it feels strong, and I should have splurged for something nicer than fair condition. Live and learn. I'll still use RTG for parts though! Product Review: Leather in good condition, hardware as well. Just the perfect patina to match my PTR classic wood, looks like it was issued with the gun.